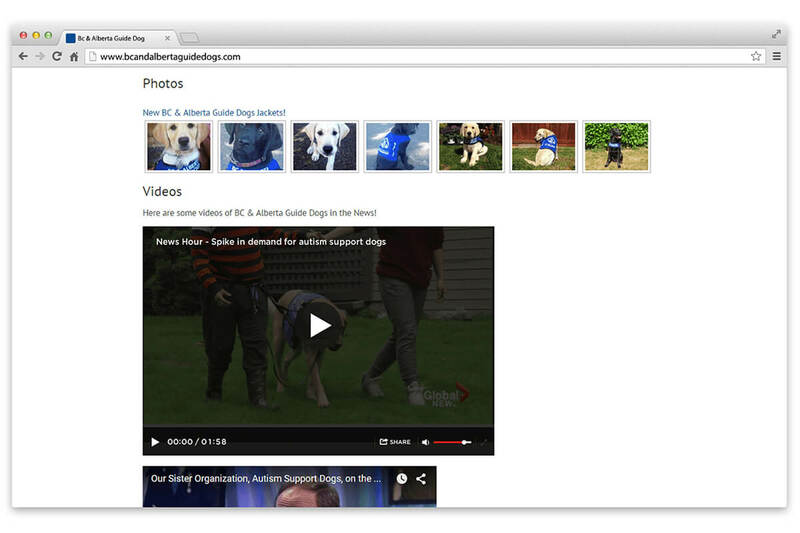 BC & Alberta Guide Dogs | NetClimber Web Design Inc. 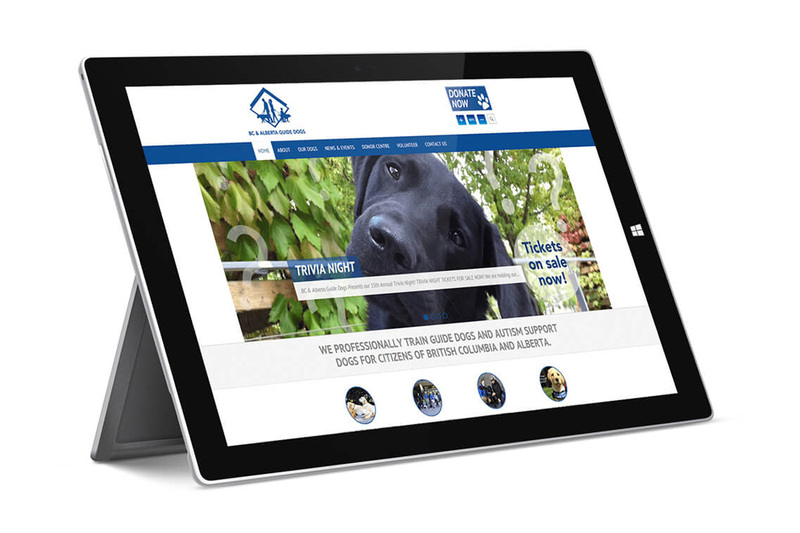 The BC & Alberta Guide Dogs website was developed when the client came to us with several unique requests. Two separate sites – one for Guide Dogs and one for Autism Support Dogs needed to be merged into one site and be completely accessible to blind/visually impaired site users. As well, the client wanted to control the content in order to add current blog posts and recent testimonials. NetClimber had developed the initial website for the organization several years earlier but with advances in technology, the new site needed to be responsive and more easily managed by the client. The main goals of the new website were to develop awareness of the program and to reach out to potential volunteers, puppy raisers and sponsors. The dependency on donations is crucial to the effective continuation of the Autism Support Dog and Guide Dog program. Therefore, the “donation” button had to be obvious and strong calls to action were brought to the forefront. Another goal of the organization is for education. The site we developed provided many areas for informative content – whether it be etiquette, breeding and training, fundraising or news related YouTube videos. It was also important for the charity to reach the local market as well as all of British Columbia and Alberta. Here we implemented Google Analytics and search engine optimization to increase organic search traffic to the site. Social Media involvement was key to the marketing strategy so clear links and share buttons were used on the Home Page. Other elements that were unique to the site are – an email sign-up form, a “zoom widget” that enables site users to resize the predefined areas of the website and an editable online PDF form.